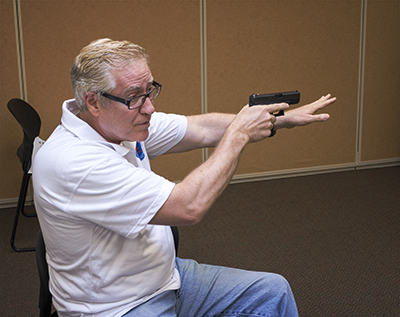 learn to shoot a handgun? (yes, you can hunt with a handgun). 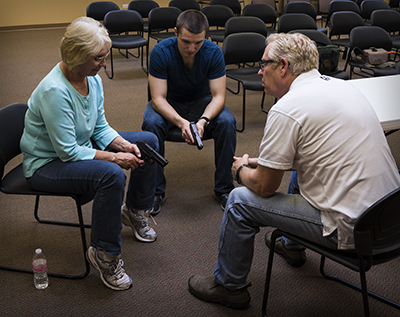 are considerable and there is nothing better than learning from an NRA Certified Instructor. Handguns vary in size and shape. One of the first things to consider is the way the gun fits in your hand. Everyone’s hands are different and each brand of gun is different from other brands. I can help you to find the gun that is best for you. If you and your gun are not a good fit, you will not shoot well. 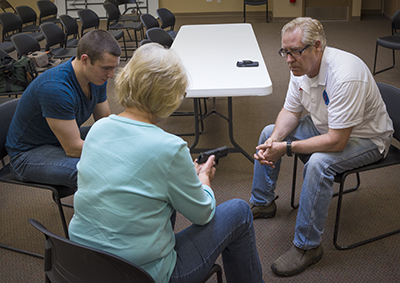 You do not have to own a handgun or have a FOID card to take the class. I will provide a gun for you at no charge, including both semi-auto pistols and revolvers. The choice is up to you. You can start with a .22 caliber target pistol, or a center fire pistol or revolver. After the class, if you need, we can go to the gun counter and I can help you choose a gun from the large selection of guns available at GAT GUNS. Then, you can try out the guns you like by renting them. While a FOID card is not required to take the class, it is required to rent a gun or buy one.